Meltdowns, tantrums, and fits, oh my! If you’re a parent you are well versed with all the ways the little people in your life express their displeasure. Our children are now four and five. Over the past few years we’ve experienced meltdowns at every time of day and in almost every possible public venue. My husband and I differ in how we handle the public tantrum. I believe you shouldn’t feed a meltdown. I don’t give in to the power-play and I am not embarrassed easily. My husband, on the other hand, would rather be covered in live spiders than become the center of attention. Kids figure that out early. Public tantrums happen more often when I am off the clock. There are definitely phases for the meltdown. When my son was younger he would become incredibly emotional after any minor playtime injury. Meltdowns at that point were more about getting himself back under control and less about trying to elicit any kind of reaction on our part. It was this time in our household that I began to look into the plants I might be able to use to help him. I ended up creating our Little Bee Calm formula. Right now my daughter is in a new meltdown phase at bedtime. Every night when we tell her it’s time for bed she is reduced to a drama-filled puddle of sobbing. I’m so thankful to have these plants at my fingertips, both for her peace and my sanity. Here are the herbs you should get to know if you have a young drama-maker in your house! One of my favorites for kids. This herb and all those that follow are nervines. Catnip feeds and tonifies the nervous system while acting as an antispasmodic. It can help to settle a stomach that may become upset with emotion. It is a good herb to use before bedtime as well, as it can calm down the nervous system enough for proper rest. This leaf and flower combination is a very gentle sedative that has been used for children for a long time. Rather than being an improper “knock-out” that you would see with an allopathic sedative, California poppy simply allows the body to calm down naturally. A delicious herb for relaxation, focus, and calm. It can help when children lose control over their emotions. That experience is very stressful and lemon balm is very good at helping them to focus their attention on regaining control on their own. 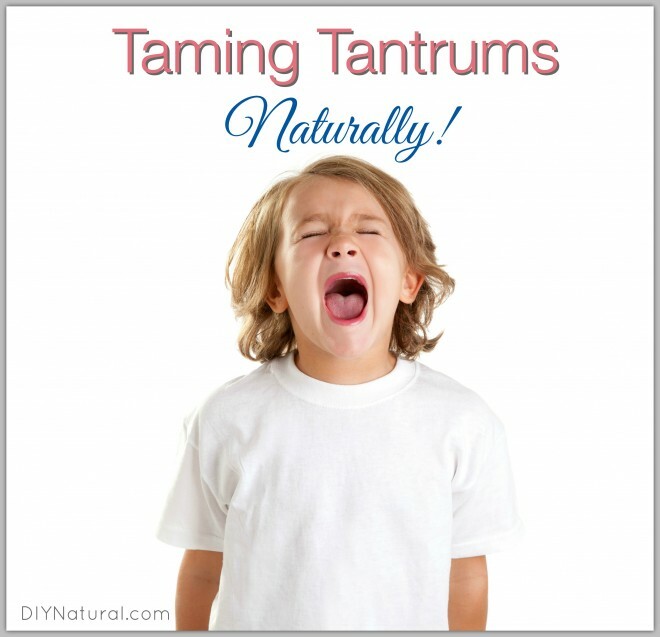 No matter what is causing your little one’s tantrums, know that it will pass. None of us is immune to it – you will not escape child rearing without the experience! It is my strategy to let my kids know I am there, that they are free to express their emotion, but that if they are trying to use their emotion to motivate me it won’t work. What do you use to calm your kids during melt-downs? Share in the comments! Okay , so how much do I use and how do I administer it? I would prefer the lemon balm or chamomile. Chamomile and lemon balm are both so delicious, it’s easy enough just to make a nice tea for everyone to enjoy together. 2-3 tsp dried herb per cup. If that’s not a possibility for you, you can always try a special pillow for bedtime or for a quiet area where a child can go while they work to gather themselves.